A good read I stumbled across, enjoy. Here are those videos from the air show back in May... Turn up 'dem speakers boys and girls..
A RAAF Hudson bomber shot down in Papua New Guinea during World War 2 has been found after 66 years. A16-126 was found by a missionary thick jungle on a ridge inland from the town of Gasmata. I've been reading "First Man", the biography of Neil Armstrong by James R. Hansen. For the latest News @ Full Throttle and additional features visit www.IndyTransponder.com © You may also subscribe for daily automatic E-mail delivery directly to your Inbox! YouTube - Red Arrows Display Over New York City. They have done us proud as always. NewsChannel 19 has multiple crews on the scene of breaking news at the Air Show in Huntsville. Around 2:00 this afternoon, high winds blew through blowing over at least a dozen tents. People were inside the tents at this time. There are reports of multiple injuries. At this time we do not know how serious. Watch the News @ Full Throttle in the right column. As the news come in we'll make it available! Afterburners, Vapor, and smoke is nice to see but none of it could happen without some very special people. Some Blues shots from Huntsville, AL today. Wish I could have stuck around a little longer, but my back gave out. Enjoy.. This was the name of a system to mow down infantry. It consisted of 88 PPSH guns located in the Tu-2 bomb bay. Keying down from the "Wings of Freedom" Media Day event. It was very successful and a lot of fun! I never get tired of watching aerobatics. We had four performers at this event, which was a private event to give the media, sponsors and city a taste of the main airshow slated for September 20-21 at Hook Field in Middletown, Ohio. Performing was Cliff Robinson in his 450 Stearman, Emerson Stuart in his Citabria, Jay Hodge in a Russian Yak-52 and Brett Hunter in a Magnum Pitts S2C. Former B-52 pilot and NASA astronaut Thomas D. Jones teamed with Robert Dorr to write a book on the all-volunteer 365th Fighter Group during Second World War. I woman from Malibu turns an old Boeing 747 into her new home. The fuselage will function as an art studio, the wings will be the home’s roof. The aircraft itself was purchased for $40k, building the house will cost $2M. The Snowbirds Air Demonstration Team and the CF-18 Hornet will be among the Canadian Forces aircraft participating in Air Show Ottawa, June 28 and 29 in Carp, Ontario. ... a narrated fly-over by the Commemorative Air Force; concert by Kansas City St. Andrews Pipes and Drums band; and singing of “Of Thee We Sing” at 2 pm. I was at the Arrow's rollout because my father was in the Royal Canadian Air Force and my mother and I attended the event. The Rocket Racing League is moving ahead with its plans to have a major presence at EAA AirVenture Oshkosh, “The World’s Greatest Aviation Celebration,” with the unveiling of its competition aircraft, flight demonstrations and special presentations during the weeklong event. The Lake in the Sky Air Show reaches new heights Saturday, June 27, at the Lake Tahoe Airport. “We really have a big lineup,” airport director Rick Jenkins said of the 19th annual event. JUN.08 One thing is almost certain regarding Saturday’s LA Army Strong Fiesta Bowl High School All-Star Game - the football is going to be in the air. At least that figures to be the case for the City Section in the City vs. The tribute also will include Navy Leap Frogs parachuting into Petco Park and a fly-by of four Navy F-18 fighter jets. "He was not just a part of American history; he helped to make it," museum founder Nick Snider said Thursday. Dryden's 21-year military career included combat missions in Korea and assignments in Japan, Germany and US bases. 26 aircraft for Air Rally of Malta this weekend (Times of Malta) A total of 26 light aircraft from seven European countries will be taking part in the International Air Rally of Malta this weekend. For 50 years, Dub Southers recalled the grueling hours he worked at an air base in northern Germany at the start of the Berlin Airlift, not the historical significance of what he helped achieve as a flight engineer and crew chief. He remembered well the stacks of coal being shipped in from local coal fields, the 196 missions he flew over Berlin and being a 20-year-old Air Force staff sergeant keeping the C-54 Skymaster aircraft flying. "Coal was our basic cargo," said Mr. Southers, 81, of Texas. "Occasionally, we flew flour, but I can't recall anything other than coal." South Bend Regional Airport Executive Director John Shalliol is upset with the recent report identifying three Indiana airports that could lose service as major airlines deal with rising fuel prices and other financial difficulties. Shalliol questions how the information was gathered by the Pennsylvania-based Business Travel Coalition. He is only aware of cuts by Allegiant Air (NASDAQ: ALGT). Shalliol understands that this is a tough time not only for airports but for any other fuel-dependent industry. He would not be surprised if more airlines implement changes to deal with economic conditions. More than 6,000 people witnessed what the Air Force is all about during the 2008 Soaring into Solstice airshow June 24 at Eielson Air Force Base. 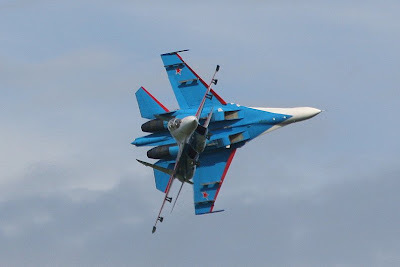 We're offering two tickets to Farnborough on Wednesday 16th July and a lunch with us in the Flight Chalet (which has a terrific view of the flying displays). All you need to do is give the best caption to this photo from the Farnborough Air Show back in 1950: Submit your captions on this thread in AirSpace please ... Unfortunately we cannot offer travel or accomodation so you will need to get there yourselves. We will announce the winner on the 7th July! What Do The Readers Want?